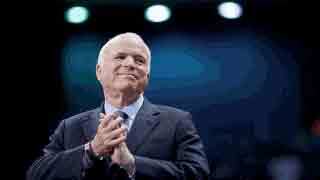 Washington, Aug 27 (Just News): Tributes from former US presidents and across the political spectrum have poured in for Republican Senator John McCain, who has died aged 81. Barack Obama, who beat him to the White House in 2008, said they had shared a "fidelity to something higher". President Donald Trump, whom McCain had strongly criticised, tweeted his "deepest sympathies" to McCain's family but did not comment on his life. "He was a public servant in the finest traditions of our country," Mr Bush said. "And to me, he was a friend whom I'll deeply miss." Mr Obama said that despite being his Democratic rival, they had shared the ideals "for which generations of Americans and immigrants alike have fought, marched and sacrificed". Sarah Palin, who was McCain's running mate during his 2008 presidential bid, said the world had lost "an American original". 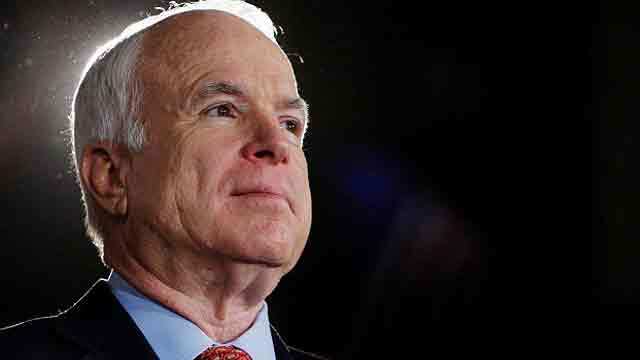 From outside the US, Israeli Prime Minister Benjamin Netanyahu hailed McCain as "a great American patriot" whose "support for Israel never wavered." Canadian Prime Minister Justin Trudeau said McCain's lifetime of public service had been an "inspiration to millions". McCain also criticised President Trump's hard-line rhetoric on illegal immigration and his attacks on the media. John McCain was born shortly before World War II, at the dawn of the "American Century" - a time when the US was at the peak of its political, military and cultural power. He dies at what could be considered that age's twilight, as the nation turns inward and contemplates walls, literal and metaphorical, to insulate itself from the rest of this world.